Oli Adams is one of the UK’s premiere wave hunters, dedicating years to searching along our remote and varied coastlines for epic uncrowded waves. In his previous cinematic adventure, The Hunt For Hipmasama, Oli searched for a specific wave he’d seen in a photograph off a remote Island in the UK and eventually found it. 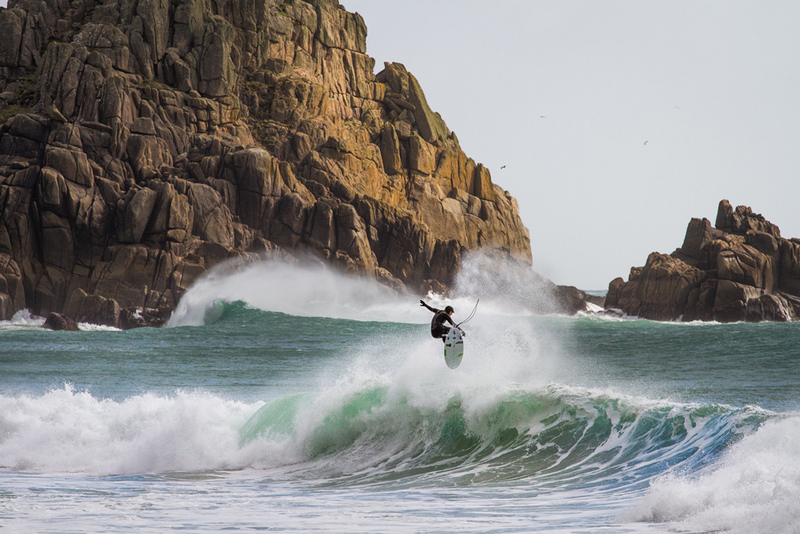 His new film, Trip The Light, premiered a few weeks ago at the London Surf Film Festival and features a winters worth of chasing waves around the British Isles. Filmed over a series of strike missions and sessions at home around Cornwall, for Oli the film was about showing both the variety and quality of the high performance waves on offer as well as the beauty and intrigue of the regions in which they break. The logistical challenges of making a surf film featuring Britain’s frigid waves cannot be overstated (that’s why there are so few) and this production was by no means immune.Early mornings, sixteen hour drives, missed ferries, inaccurate forecasts, speeding tickets and the pressures of everyday commitments meant that every wave caught was the result of a long and labour intensive journey and the aligning of a ridiculous amount of meteorological and logistical variables. However when it all comes together it’s worth all the hardship and in this case, the result is a beautifully atmospheric clip, full of incredible waves. The film was directed by Oli himself and filmed on a RED, by a variety of filmers, both up and coming and established, including celebrated UK surf film makers Tim Boydell and Mikey Corker.